In the following post I will do some “research” on VPN debugs in Fortigate. It may usefull for those who has basic Foritgate VPN problems or the peer Fortigate has a Problem. Debugging should be usefull for troubleshooting, but should not only be used for troubleshooting. It should be used to understand and see how things really work. If something wrong it may be too late to understand how things worked before. Dead peer detection checks continuously if the peer is reachable, it send a so called ARE-YOU-THERE packets and if the peer supports it it send back an ACKnowledge Packet. We can see a sequence number in the debug for DPD. The disconnect was initiated from the other peer. DPD is still active, the other peer does not reply to vpn session creation. 2012-03-22 00:30:43 0:firewall2: created DPD triggered connection: 0x8c1f8e8 5 6.6.6.2->3.3.3.1:500. 2012-03-22 00:30:43 0:firewall2: new connection. – NAT Travelsal ist activated, but NAT is not detected. – Authentication method is Pre-shared key. 2012-03-22 12:24:33 0:firewall2:2:      trans_id = KEY_IKE. 2012-03-22 12:24:33 0:firewall2:2:         type=OAKLEY_ENCRYPT_ALG, val=AES_CBC. 2012-03-22 12:24:33 0:firewall2:2:         type=OAKLEY_HASH_ALG, val=SHA. 2012-03-22 12:24:33 0:firewall2:2:         type=AUTH_METHOD, val=PRESHARED_KEY. 2012-03-22 12:24:33 0:firewall2:2:         type=OAKLEY_GROUP, val=1536. 2012-03-22 12:24:36 0:firewall2:2:firewall2-ph2:1: set sa life soft seconds=1748. 2012-03-22 12:24:36 0:firewall2:2:firewall2-ph2:1: set sa life hard seconds=1800. 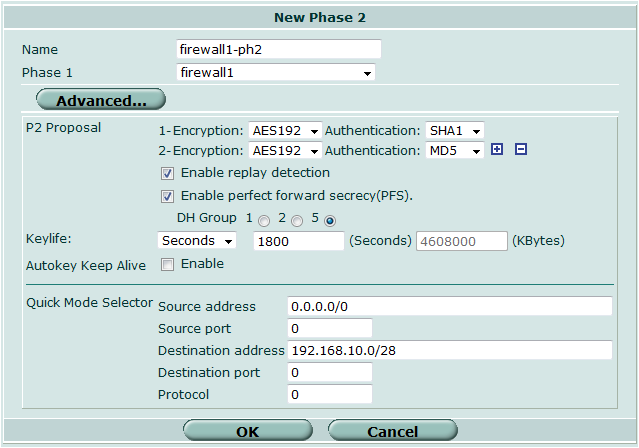 2012-03-22 02:52:39 0:firewall2:361:firewall2-ph2:7146: using tunnel mode. 2012-03-22 02:52:40 0:firewall2:361:firewall2-ph2:7146: set sa life soft seconds=1753. 2012-03-22 02:52:40 0:firewall2:361:firewall2-ph2:7146: set sa life hard seconds=1800. The encryption domains or Quick mode selectors do not match between the peers. 2012-03-22 12:30:31 0:firewall2:2:      trans_id = KEY_IKE. 2012-03-22 12:30:31 0:firewall2:2:         type=OAKLEY_ENCRYPT_ALG, val=AES_CBC. 2012-03-22 12:30:31 0:firewall2:2:         type=OAKLEY_HASH_ALG, val=SHA. 2012-03-22 12:30:31 0:firewall2:2:         type=AUTH_METHOD, val=PRESHARED_KEY. 2012-03-22 12:30:31 0:firewall2:2:         type=OAKLEY_GROUP, val=1536. Not so talkative to identify pre-shared key problems, the logs are better in this case. ← Network topology with graphviz – Task 3.
thanks for this fine compilation of commands. Thank you very much for this usefull commands and result compilation, that helped me to fix 2 VPNs. I’m trying to set up a Client to Site VPN, but I have doubt on how do I have to set up the route for it. I’m doing a route-based VPN with DHCP on it, can you help me out? ööö, for free no way :-) But I have a post on it, have you read that through? Paste your config to pastebin.com and give me a link. Yes I read it, but I couldn’t find what it is missing, I suspect it is a route, because phase 1 completes but the tunnel doesn’t get up. I’ve sent you my config on the last post. Took four TAC tech guys and three days to find the problem. 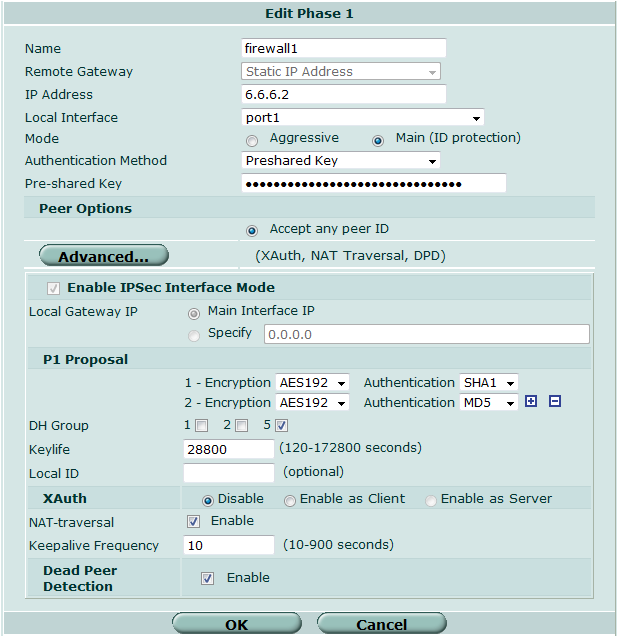 Hi , though we are using Nat-T , for ipsec vpn in Tunnel mode . as it should be on 4500 because Nat-t has been used . due to this some-time VPN woks & some time not . can you help in this to resolve the same . What do you mean with root certificate? Is it a certificate from your root ca? You may have to create a certificate request with your firewall and let it signed by your root ca and import the signed certificate in your firewall. That is the general way I have used already.